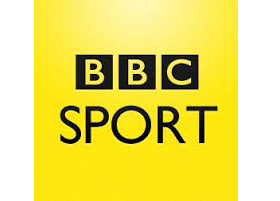 The BBC has outlined the scope of its coverage of the 2016 Olympic Games coming this summer from Rio De Janeiro. BBC Director of Sport, Barbara Slater, has promised that "roughly the same volume of output" as London 2012 will be generated, with coverage to be available across two BBC TV channels, an expanded Red Button service, two BBC national radio stations, across social media plus each individual sport streamed online. Ahead of the Olympics, the BBC has already configured four Red Button streams on Freeview (BBC RB 0, 1, 2 and 3), with BBC RB 2 and 3 only available on DVB-T2 compatible devices (e.g. Freeview HD, Freeview Play and YouView). Although there hasn't been any talk of resurrecting the 24 extra Red Button streams that were on-air during London 2012 via satellite and cable, the increase in the number of connected devices that can access new BBC services such as BBC Red Button+ and the BBC Sport App will mean more viewers will be able to stream the events from Brazil via the internet. Preparing for the inevitable Daily Mail backlash against staff numbers being sent to Brazil, Barbara Slater confirmed 40% fewer accredited staff will be sent to cover the 2016 Olympics compared to the 2012 games. 70% of the staff covering the games will be freelance staff. The reduction in staff numbers being sent to Brazil will be partly offset by improvements in technology allowing certain aspects of production to be controlled from the UK, although it's been admitted that some technologies aren't yet broadcast ready meaning it's not been possible to reduce staff numbers in Brazil any further. In addition, the BBC will be sharing facilities with other broadcasters. This will be the last Olympics in the current format on free-to-air TV. From the 2018 Winter Olympics through to the 2024 Summer Olympics, the BBC and Discovery will be sharing rights, with the BBC sub-licensing rights to Discovery for the 2018 and 2020 Games and Discovery sub-licensing its Olympic rights to the BBC for the 2022 and 2024 games. As a result coverage on free-to-air TV is expected to be limited to one main TV channel and one red button service, plus comprehensive highlights online. The remaining output will be available via Discovery's channels, such as Eurosport. Radio rights are not affected by this deal.